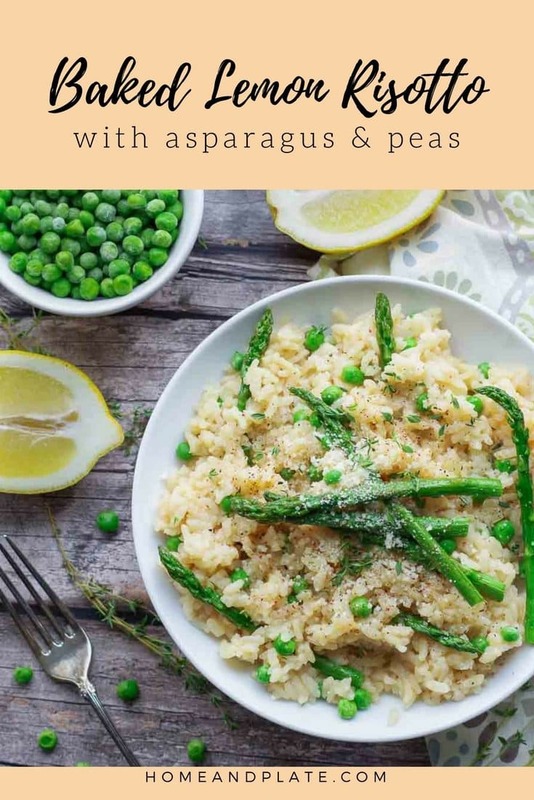 Celebrate spring with the tangy flavor of lemon in a spring risotto featuring asparagus and peas. 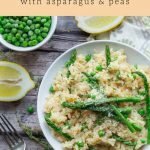 Risotto is a great base to feature spring vegetables. It’s the perfect side dish and is easy enough to adapt for a main meal. 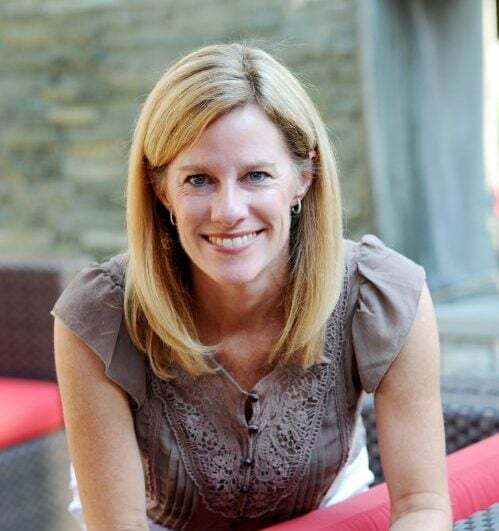 It’s been cold and chilly this spring in Ohio yet we are eagerly anticipating spring. The daffodils are struggling to bloom and we have seen a few snowflakes even though it’s officially spring. I’m eager to plan my spring garden and I’ve been dreaming of asparagus and peas, the ideal spring vegetables. Pairing them with a warm and creamy risotto is just the thing to warm things up. Growing up I was never a fan of asparagus but it has grown on me and now it’s one of my favorite vegetables. It’s important to choose asparagus spears that are bright green and pencil-sized with a small head. To avoid bitter asparagus you will want to make sure to choose fresh stalks and avoid overcooking it. 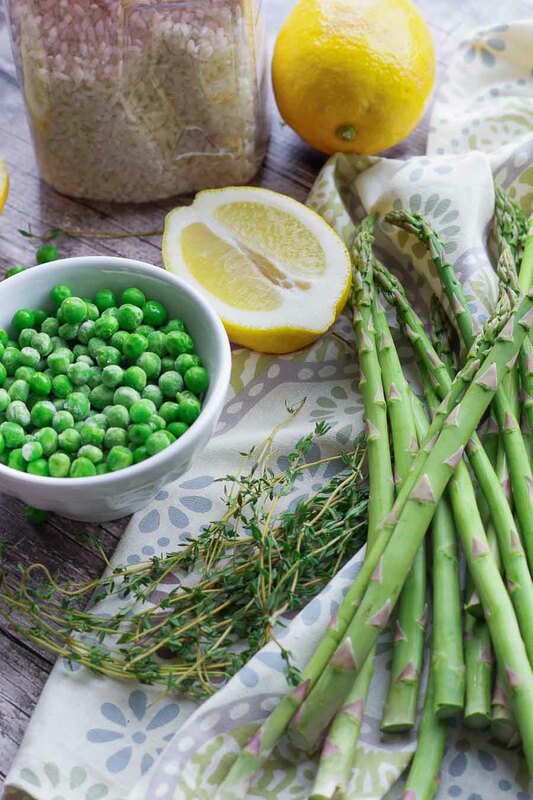 Asparagus absorbs the flavors of other vegetables, like garlic and onion, and is a perfect pair for lemon. Simply trim the stems an inch or so and roast for no more than 10 minutes until they are just tender. My kids are huge fans of peas. They are sweet and nothing like what I remember from my youth when they were overcooked and mushy. The trick to the sweetest peas is picking them straight from the vine. If that’s not an option, buy frozen. Make sure they are super sweet and simply allow them to thaw in a bit of cold water. They will taste as if you picked them fresh from the garden. That’s it! Toss them into the risotto before serving. Risotto is typically made on the stovetop and requires you to stay at the pot and continuously stir. I prefer to bake my risotto as it allows me to do other things in the kitchen while the arborio rice is cooking. If you wanted to turn this into a meal, grilled shrimp or chicken can be added to this risotto easily. 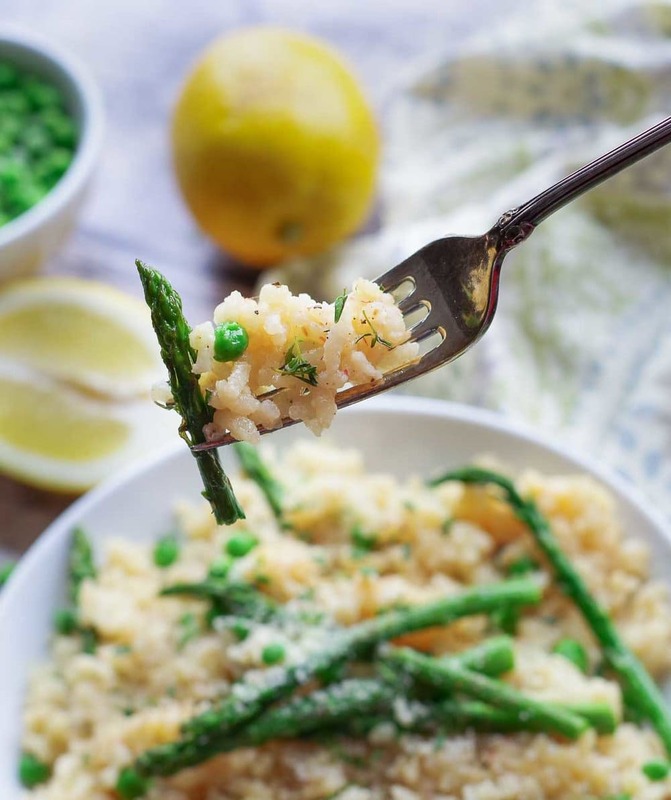 Want to learn how to make this Baked Lemon Risotto with Asparagus and Peas? Pin it to your Sides or Veggie board to save for later! Find me on Pinterest for more recipe inspiration! Preheat the oven to 375 °F. Place the asparagus spears on a baking sheet lined with aluminum foil and drizzle with olive oil. In a large pot on medium heat, add 1 tablespoon olive oil and sauté the onion, about 3-4 minutes. Add the rice and stir for a minute. Pour in the wine and mix until the wine has been absorbed by the rice. Season with freshly ground pepper and stir in the water and chicken broth. 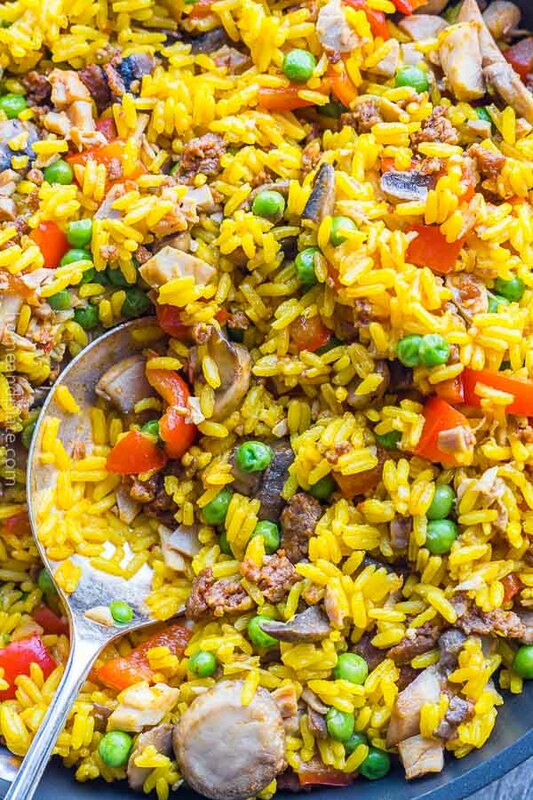 Transfer the rice mixture to a casserole pan and place the rice in the oven. Bake the risotto until the liquid has been absorbed, for a total of 30 minutes. Add the baking sheet of asparagus to the oven for the last 10 minutes, and bake until the asparagus has roasted. Remove the rice from the oven and add 1 tablespoon of butter, the lemonjuice and the roasted asparagus and peas and stir gently to combine. Top with the Parmesan cheese and fresh thyme leaves. I absolutely love risotto and this seems much easier than babying it over the stove! Thanks for the idea! I typically always bake risotto to free up time at the stovetop. Thanks Heather. Hope you like it. I’ve never thought of baking Risotto before but now I’ve got to try it! This is such a clean dish! Love the freshness and health. Thanks Sunrita…it is ideal for spring. Wow! 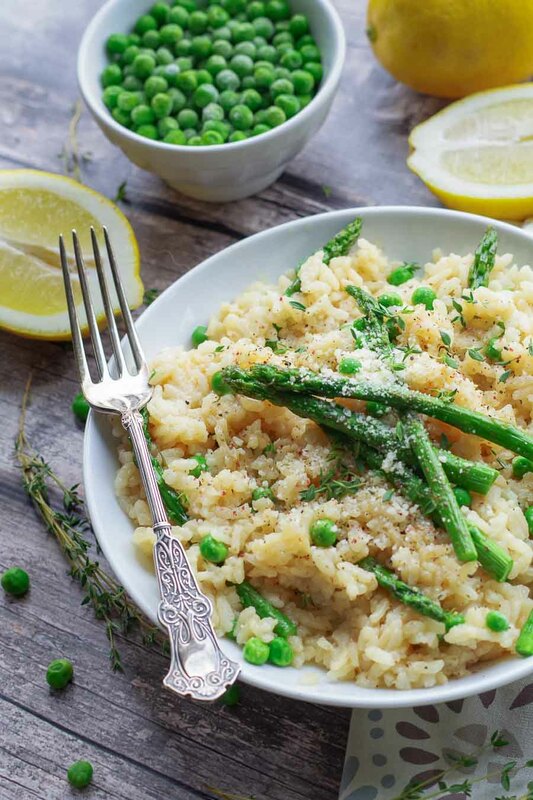 This risotto looks so perfect for Spring! Loving this idea. I’m pinning for later. Easy to make and easy to turn into a full meal…just add some roasted or grilled shrimp and voila….dinner! Thanks Jamie. My mouth is watering just thinking about this risotto ~ I recently got an instant pot and it makes the most amazing risotto in 6 minutes!